Last week, I flew to the Philippines (and back) via a budget airline for the 3rd time. Some of my friends couldn't help but ask why. Well, I say, why not? I don't really mind traveling on low-cost carriers, especially when I have to stretch our travel fund a little bit farther! But human as I am, I also have the tendency to compare. Having experienced flying with some of the bests in the aviation industry, I know I'm missing a lot of things when I'm in a cheap flight. Yet I don't have the heart to loathe low-cost carriers because when I get to see the whole picture, what they offer is exactly what I paid for! Upon booking, check the fine print thoroughly. Most cheap flights only include 7 kg carry on. Baggage, meals, drinks, and even seat selection are not included. Read the terms carefully. Cebu Pacific allows guests to purchase add-on baggage allowance at least 4 hours before the flight. 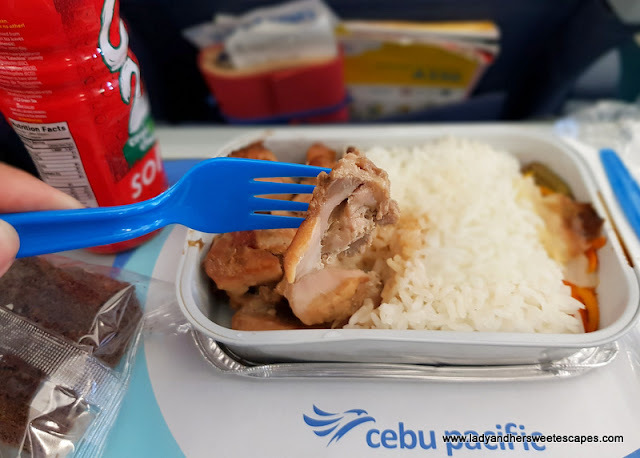 You can also pre-order in-flight meal/s if you want, but you have the option to bring food on board as well. And you can select a seat for fee, which I don't usually do as you can ask for your preferred seat for free at the check in counter. Pack the things you need for the flight. 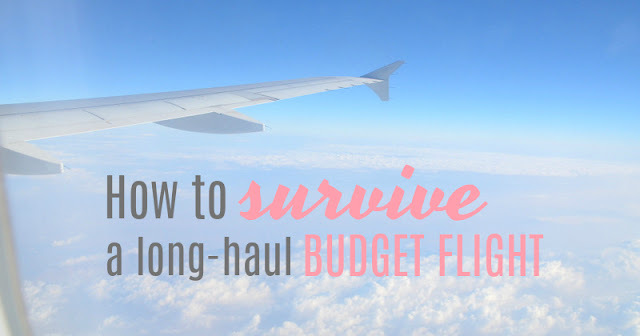 I usually recall my past flight experiences with top airlines when I'm preparing my carry-on. 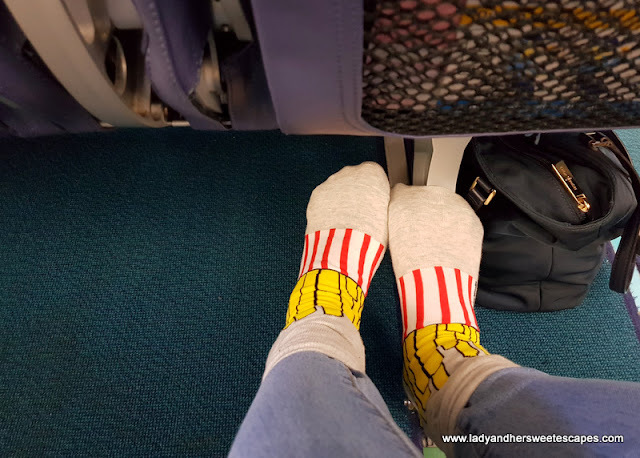 What were the things provided during the flight that made me feel comfortable? These things will not be offered for free in budget airlines! It is best to expect that you'll have nothing but a seat and a meal that you pre-ordered. Note: On board Cebu Pacific, water costs 50 php, sandwich 100 php, nissin cup noodles 100 php, hot meal 350 php. A small blanket that you can take home costs 350php, while a full sleeping kit costs 595 php. Prepare your own in-flight entertainment. Download your favorite songs, a good old movie, and games you can waste your time at on your mobile phone or tablet. 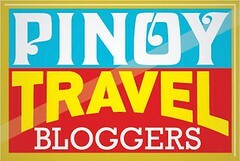 If you're into blogging, bring your journal or your laptop as you can also use the time to finish a few backlogs. 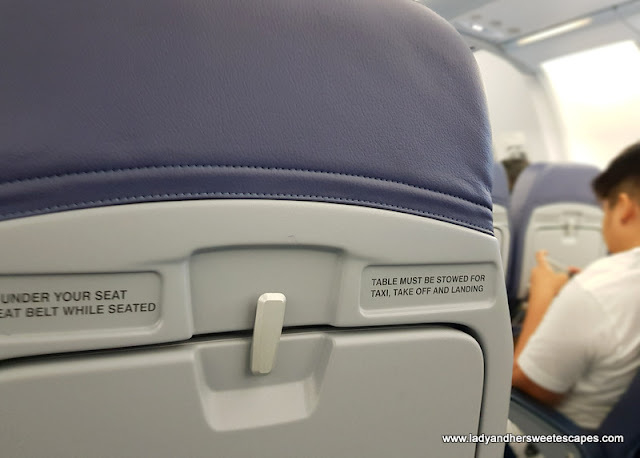 No seat screen. No pillow. No blanket. But still, "all is well" if you come prepared. A day before the flight, weigh your baggage. Make sure both of your hand luggage and checked baggage do not exceed the weight limit to avoid paying extra fees in the airport. You can book an extra baggage allowance if you must at least 4 hours before the flight. I think this applies for all flights, low-cost or not. Web check in to avoid the long queue in the airport. During the flight, keep calm and be patient. You'd probably have to queue for the lavatory because low-cost carriers have more economy seats. You have to pay for anything that is not included in your booking (e.g. water, food). And you have make yourself comfortable! Nobody can do it for you, I mean it! At least the legroom is fine, and that is quite a bonus when flying on a budget. Do like traveling on low-cost carriers? 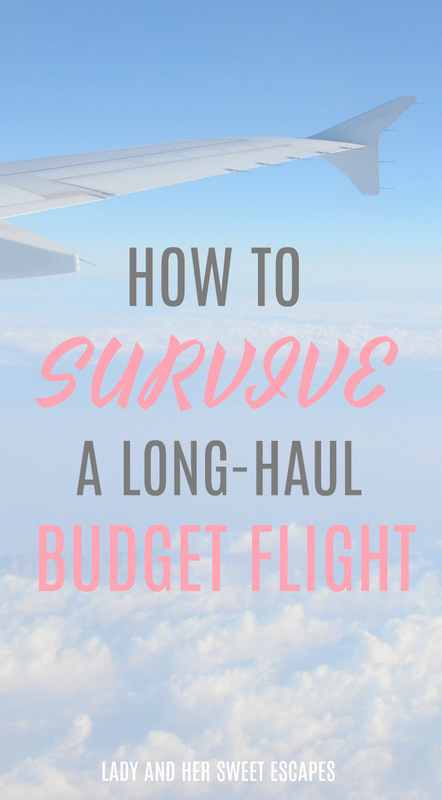 How do you prepare for your budget flight? Your information is useful for me. I am about to have a long-haul budget flight. Thanks for sharing!